Starbucks is one of the largest coffee chains in the world with over 23,768 storefronts worldwide and over 13,107 storefronts in the U.S. Offering a number of varieties of delicious hot and cold drinks, coffee grounds and K-Cups, whole-bean coffee, espresso, caffe latte, Teavana tea products, Evolution Fresh juices, Frappuccino beverages, La Boulange pastries and snacks at every storefront, their gift cards are perfect for anyone looking to satisfy their needs. Whether someone is looking for a little Italian Roast, French Roast, Caffe Verona, Breakfast blend, Espresso Roast, a Pumpkin Spiced Latte, K-Cups, grounds or coffee, Starbucks gift cards give them the freedom and power to treat themselves to whatever they are looking for on any occasion. Starbucks’ storefront presence and deals make Starbucks gift cards a great fit for bulk gift card purchases and loyalty program rewards. Contact us today if you are interested in running a Starbucks Gift Card reward campaign! National Gift Card specializes in everything gift card related from gift card solutions to fulfillment. Please contact us for more information on our bulk, direct-to-recipient, or individual gift card fulfillment options. Use our contact form or contact us at 888-991-7637 today. Starbucks Gift Cards* never expire and can be redeemed towards a variety of coffee, drink or pastry related products to get you going through the day. Starbucks’ huge selection of caffeinated and decaffeinated products, drinks, and food, makes Starbucks the ideal place to satisfy your beverage and food needs at a great price. 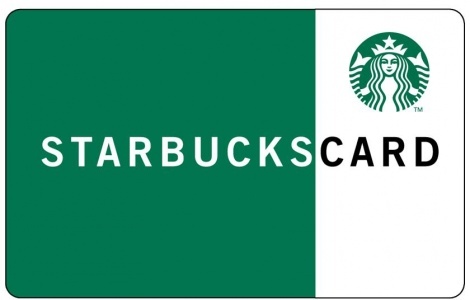 National Gift Card is the best place for you to order Starbucks gift cards in bulk. We are the experts in all things gift cards and can set up your gift card solutions program for you today. Please contact us for more information on Starbucks bulk, direct-to-recipient, or individual gift card fulfillment for your gift card program. Contact us here or call us at 888-472-8747 today. Reload your Card and check your balance at participating Starbucks stores, www.starbucks.com/card or 1-800-782-7282. Your Starbucks Card may only be used for making purchases at participating Starbucks stores. It cannot be redeemed for cash unless required by law. You may protect the balance on your Card if lost, stolen or destroyed by registering it at starbucks.com/card. Starbucks will replace remaining registered card balances at the time you notify us of the loss. Refunds can only be provided for unused Cards with the original receipt. A complete set of terms and conditions is available on our website. This card does not expire, nor does Starbucks charge fees for any reason. Use of this Card constitutes acceptance of these terms and conditions.